Glenora, Edmonton homes for sale are among some of the most coveted in Alberta's capital. The community is located west of Groat Rd. NW, and south of 107 Ave. and east of 142 St. NW. The Southern border is MacKinnon Ravine Park and the North Saskatchewan River. It's a mostly residential area with homes priced up to more than $1 million and there are also lots of more modest homes plus a few condos. Glenora is very close to downtown Edmonton as well as plenty of shopping and restaurants. 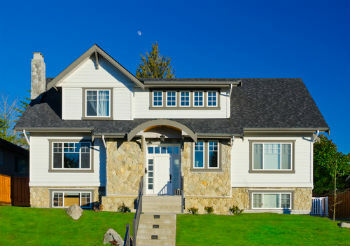 Read more about Glenora homes for sale below the listings! If you're looking for an area with outstanding resale value, check out Glenora Edmonton real estate, which is all about location, location, location. The more expensive homes are along Wellington Cr., Ravine Dr. and St. George's Cr. Glenora is close to the Oliver Square shopping complex which has a Safeway, plus a Staples outlet. There are also more shops nearby west on Stony Plain Rd. as well. Not to mention the West Edmonton Mall is just minutes away. When it comes to nearby restaurants, there's a Key nearby plus a host of great eateries that are downtown. If you're looking for a great steak, head to The Marc at 100 Ave. and 106 St. NW., which is considered among Edmonton's best. Explore Glenora condos and explore some of the amazing outdoor fun that can be had in and around the community. Mackinnon River Park is a sparkling example of how the river valley is a great place to enjoy the great outdoors. Do othe Beuna Vista Park Riverside and neighborhood hike through the valley, past the grounds of Government House and into the neighbourhoods where you will get some amazing views of the river valley. For those who enjoy working out and playing sports, the Royal Glenora Club is worth looking into. With tennis, badminton, squash, skating, bowling and aquatics, the club certainly has much to offer members. There is also a magnificent fitness centre there, along with a gourmet restaurant. If you're interested in viewing any Glenora homes for sale in Edmonton, don't hesitate to contact the team at MaxWell Challenge Realty. You can also call us at 780-990-7777.